If you would like an inexpensive and easy way to level out or lift up your pick-up or large SUV, look no further than Zone Off-Road suspension leveling kits. Every leveling lift kit is vehicle specific for a great fit. Zone Off-Road has 1" to 3" leveling lift kits depending on your year, make and model. Each Zone leveling kit is cast or machined of the best quality materials and tested rigorously for optimal fit, strength and durability. Many vehicles also have the option to get the rear block kit included to lift the entire truck or SUV. 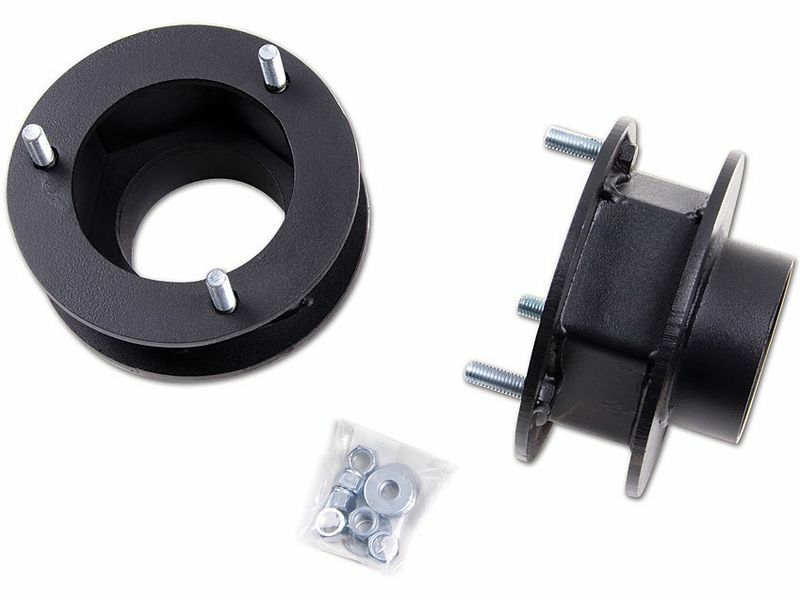 Zone Off-Road suspension leveling kits are quick and easy to mount and will still give you the same comfortable ride as before adding this lift leveling kit to your SUV or truck. Install time on these runs anywhere from 1 hour to 4 hours. All the truck leveling lift kits do include all mounting hardware needed. Adding a Zone suspension leveling kit to your truck or SUV will give you the look you desire and a little extra ground clearance while maintaining the factory ride at a reasonable cost. For the ultimate in leveling lift kits Zone Off-Road has just what you crave. Zone Off-Road has a great warranty that covers your leveling kit for as long as you own that vehicle. The warranty protects against defects in material and workmanship. Commercial application vehicles have a 1 year warranty. Products that fail or wear out due to oversized tires or wheels are not protected. Racing and competition vehicles are not covered under Zone Off-Road’s warranty. Leveling out your truck couldn't be easier than with Zone leveling kit. Each kit is custom designed to provide an excellent fit and make installation as simple as possible. Detailed instructions are included but you call us for a little fireside chat or you can ask us any question you like. we'll do our best to answer it! Don't worry about the weekend, we have someone here for you 7 days a week.